“I found Cat to be warm, creative, and organized. "We feel like we live in a five-star hotel!" "Catherine has a great eye for design and an appreciation for historic styles." "collected cool and a creative use of color"
"You just made a miserable day into an amazing day!" 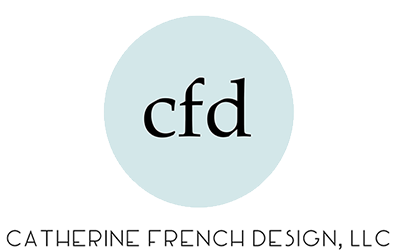 Catherine French Design is a team of interior design consultants based out of Chapel Hill, North Carolina. We have provided residential and commercial services in Chapel Hill, Raleigh, Winston-Salem, Durham, and across the Eastern Seaboard.